You may or may not have noticed shenanigans in your windows based 7 and * machines. If you have better things to do than hand eye troll through the list of installed updates then here are two approached to detect the SurveillanceWare Implants. The referenced KB’s are specific to the surveillance implants which target Windows 7 only. If your running windows 8, 8.1 or 10 your more than likely fighting much more of a loosing battle. So this section is specific so where it may be temporarily possible to remove the Implants. Here is a list and updated DIY detection ready scripting for all 14 (currently known) Surveillance implants. 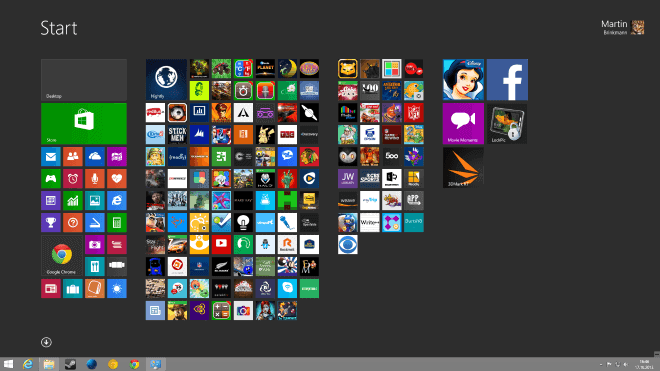 Including Implants for windows 8 and later. I guess they thought they could catch more fish with 14 baited lines. Here are two batch files . run the larger script to see whats detected. echo ‘ Only the first parameter is used in the search, the rest display context. Create a batch file, purpose is to check for currently known Implants. Whatever Surveillance implants revealed in your machine, it can be removed with a customization of the wusa command, just replace the ??????? with the kb numbers reported. Housekeeping checks post removal additional steps. I can foresee someone will prophetically conclude a recommended step 5) Uninstall windows and install a secure *nix variant. Obligatorily mentioned in advance. Thanks. An eye on post removal Hinkyness had some hits after removals and reboots. The important one was the “Update for customer experience and diagnostic telemetry” Important to who, NSA? The before removal search listing files which matched the above search constraint yielded 62 matches in 52 manifest files. The after removal search listing of files which match the above search constraint yields 74 matches in 64 manifest files. Conclusion, the removal did not remove the manifest files pushed in the original infection. After “removal” the file exists in the same 6 locations, same filesize just waiting for re-use and reinfection. Files wont be readable until you change owner permissions or change your running user principal context to that which does allow access to the file. To mitigate future infection, am considering removal alteration or perform a revocation of file permissions to utc.app.json and the hinky manifest files. 4)Re the connections the malware opened, which may or may not have Mitm certificate pinning mitigation. My personal opinion is to mitigate by locking access to the data ex filtration end points. Chances are that anything outbound to “.data.microsoft” should likely be blackholed if you opt out of the “Idiots Do Opt Having Pervasive Surveillance Patches” IDOH-PSP program for short. Hope this helps to bring most of the malware workflow, as is early info on this new day of vendor sponsored in your face implants, info will likely be incomplete. Over 20 Years experience repairing laptop and desktop computers. –> We have computer parts for sale at low prices new and old for every make and model, HP, Compaq, Acer, Lenovo, Dell, Asus, Samsung, Toshiba, Sony, IBM, Emachines, Fujitsu, MSI and more. *Lower prices than Geek Squad Fort Lauderdale, CompUSA Fort Lauderdale, Tiger Direct Fort Lauderdale, Staples Fort Lauderdale, Office Depot Fort Lauderdale, Online Virus Removal Sites, Local Computer Repair Shops. If you find a lower price call us and we will match that price. Computer Repair Coupons welcome, Computer repair discount for seniors. Summary: A vulnerability exists in Windows OLE for all versions except Server 2003. The company has released a workaround to block known attacks, but newer attacks could still get through. Microsoft has disclosed a vulnerability affecting all supported releases of Microsoft Windows, excluding Windows Server 2003. The attack is being exploited through limited, targeted attacks using Microsoft PowerPoint. Microsoft has released a Fix it “OLE packager Shim Workaround” that should stop the known PowerPoint attacks. It does not stop other attacks that might be built to exploit this vulnerability. The Fix it is not available for 64-bit editions of PowerPoint on x64-based editions of Windows 8 and Windows 8.1. There are some important mitigating factors for this problem. It is a remote code execution vulnerability, so if a user opens an affected Office document, the attacker would gain control of the system with the same privileges as the user. Using Windows with limited permissions limits the damage this attack can cause. Microsoft reports that in the attacks they know of, a User Account Control (UAC) prompt was raised when the user opened the document. This is not typical behavior and should alert many users that something is wrong. Attacks could be sent through files other than Microsoft Office documents, if the handling application supports OLE objects. In reality, Office documents are the obvious vehicle for spreading such an attack. The security advisory describing the problem also includes instructions for configuring the Enhanced Mitigation Experience Toolkit 5.0 to protect against the known attacks. Allegedly gave pre-release Windows info to a blogger. A former employee of Microsoft is facing criminal charges after he allegedly passed trade secrets to a blogger in France, US court documents showed. Russian national Alex Kibkalo, a former Microsoft employee in Lebanon and Russia, admitted to Microsoft investigators that he provided confidential company documents and information to the blogger, documents from a Seattle federal court showed. The blogger, who was not identified, was known to those in the Microsoft blogging community for posting screenshots of pre-release versions of the Windows operating system. The blogger hid his identity stating falsely that he was from Quebec, according to the documents. An internal investigation by Microsoft revealed unauthorised transmissions of proprietary and confidential trade secrets, according to the court documents. An email from Kibkalo was found within the blogger’s Hotmail account, establishing that he shared confidential data. “We take protection of our intellectual property very seriously, including cooperating with law-enforcement agencies who are investigating potential criminal actions by our employees or others,” a Microsoft spokesman said in a statement. A lawyer representing Kibkalo could not be reached for comment immediately. The court documents said during interviews, the blogger admitted to posting information on Twitter and his websites and selling Windows Server activation keys on eBay. According to Microsoft’s investigation, in July and August 2012, Kibkalo uploaded proprietary software including pre-release software updates of Windows 8 RT, as well as the Microsoft Activation Server Software Development Kit (SDK) to a computer in Washington and subsequently to his personal Windows Live SkyDrive account. Kibkalo, who worked with Microsoft for seven years, received a poor performance review in 2012 and threatened to resign if the review was not amended, the documents showed. According to an FBI agent who was part of the investigation, Kibkalo has relocated to Russia and based on a LinkedIn account, he is currently working for another US-based technology company with offices in Moscow and St. Petersburg. If you compare how Windows 8 has been doing until now to how Windows 7 did in its first two years of existence, you will come to the conclusion that it did not do as well. Some say it failed as much as Windows Vista did, and while there are certainly similarities between the two operating systems, it is an unfair comparison. While Vista and 8 shipped after hugely successful Windows versions, XP and 7 to be precise, the why they failed is different. As far as Windows 8 is concerned, it failed because it concentrated too much on the creation of a unified platform, on mobile and touch features, and not enough on the desktop part of the system. In addition, decisions to make live for desktop users difficult, by removing the start menu or forcing them to start on the Start Screen interface, added to the frustration of many users. And then there is the slowing of the PC market, largely attributed by a shift to mobile and consumption, and by the fact that PC hardware has not seen any evolution in recent time. Microsoft did restore some features with Windows 8.1, and the upgrade is seen by many as a baby-step in the right direction. What we do know for certain is that a service-pack like upgrade will be released in April 2014 for Windows 8.1. It is not clear if it will introduce any new features or modifications to the operating system. The update could however be the last for Windows 8, as Microsoft could release Windows 9 as early as April 2015 according to Paul Thurrott. It is a rumor at this point in time, but according to Paul’s unnamed sources, Windows Threshold could indeed be Windows 9. Again, this is a rumor and subject to change. It would however make sense to move away from the Windows 8 name as soon as possible due to its performance up to this point. It would also keep the “every second Windows is a good Windows” rule alive, provided that Microsoft is improving the experience for desktop users on Windows 9. Two of the previous rumors in regards to Windows Threshold are that it will bring back a full start menu, and that it will allow users to run apps on the desktop in windows. According to Paul, Microsoft will deliver three milestone releases prior to the public availability of Windows 9 in April 2015. The company won’t release an early alpha version on this year’s Build conference though as work won’t have started yet on that version. Microsoft has a year to deliver Windows 9. Some may say that this is not a long time, and that it is unlikely that Windows 9 will ship with many major changes and feature additions in comparison to Windows 8. It is however enough time to further modify the operating system to make it more appealing to desktop users. Windows 8 introduced a new boot loader that decreased the time that it takes Windows 8 to start. Unfortunately, in order to do this Microsoft needed to remove the ability to access the Advanced Boot Options screen when you press the F8 key when Windows starts. This meant that there was no easy and quick way to access Safe Mode anymore by simply pressing the F8 key while Windows starts. Instead in order to access Safe Mode, you would need to either start Windows 8 and then tell it to restart into safe mode or for Windows to fail to start, where you could then tell Windows reboot again into safe mode. Regardless of how you did, it became a 2-3 step process to access the Windows 8 Safe Mode rather than a 1-step process that we have become familiar with. In my opinion having access to diagnostic tools quickly and easily is more important than shaving some seconds off of the time it takes Windows to starts. With that said, this tutorial will explain how to enable the F8 key in Windows 8 so you can quickly and easily access the Safe Mode boot options and other diagnostic tools. As a bonus, by enabling this option on a dual-boot system with multiple operating systems, you will now find it easier to select the operating system you wish to use when you start your computer. To enable the F8 key in Windows 8 you will first need to open an elevated command prompt. by running the command promt with administrator access. When the elevated command prompt is open you will be at the C:\Windows\System32> prompt. To enable F8 in Windows 8 you need to type the following in the command prompt and then press the Enter key. Once the command has been enter as shown above, press the Enter key on your keyboard. If you entered the command correctly, Windows will report that the “The operation completed successfully.”. You now need to restart your computer for the change to go into effect. With this settings configured, you can now press F8 while Windows 8 starts in order to access Safe Mode and other Advanced Boot options. Once you enter the above command, press Enter on your keyboard. If you entered the command correctly, Windows will report that the “The operation completed successfully.” and you should now restart your computer. The F8 key will now be disabled in Windows 8.